I've been sent two mysterious local circumferences that need explanation. The former is presumably the temporal shadow of the Hilly Fields bandstand, but what's the latter? 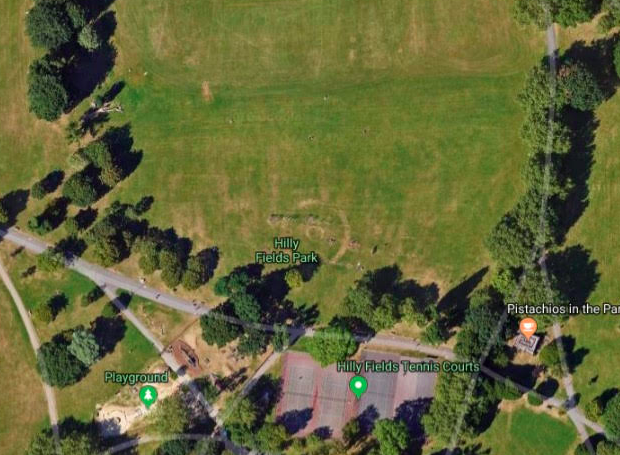 David asks: "I recently discovered that some of the shapes on Hilly Fields are the outlines of huts from WW2 but what is the rather large circle?"